Minister Joyce Ryan Taylor was born in Chattanooga, Tn to the late Dr. & Mrs. William Henry Ryan Sr (see picture below). She was raised in Louisville, Ky and is the 7th of nine siblings. During his lifespan, Dr. William Henry Ryan, Sr. pastored Greater Salem Baptist Church in Louisville, Ky; Prospect Baptist Church in West Armuchee, Ga and New Salem Baptist Church in Rossville, Ga. Dr. Ryan's impassioned discipleship and First Lady Dora's Proverbs 31 example played a major role in developing Minister Joyce's personal relationship with Jesus Christ so eloquently reflected in her life's journey. Shortly after graduating from high school, Minister Joyce achieved an associates degree in business management from the Bryant and Stratton Business College. She strongly believes that learning is a lifelong process and diligently pursues continued education from the University of Tennessee at Chattanooga to date. Also, she dedicated nearly 40 loyal years working as an executive assistant for the Tennessee Valley Authority before retiring in May 2004. Minister Joyce is the proud mother of two biological children: Dr. Shari Muir-Fernandez married to Mr. Jose Manuel Fernandez and Minister Warren "Rusty" Muir married to Mrs. Alice Muir. She has six grandchildren and two great grandchildren. From 1983 to 2004, Minister Joyce was a committed member of Mount Canaan Baptist Church in Chattanooga, Tn. She served as their choral directress and administrator; executor of the Tape Ministry; and founder of The Sick Members' and Nursing Home Ministries. 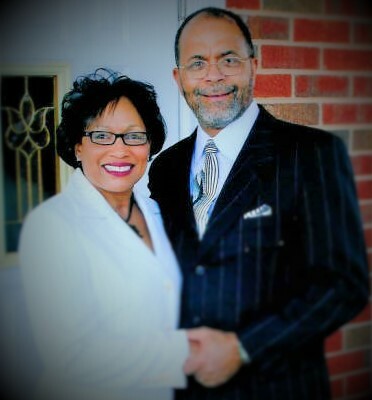 On March 7, 2004, Minister Joyce married Pastor Rheubin McGee Taylor and spiritedly embraced her new role as the First Lady of Mount Zion Missionary Baptist Church in LaFayette, Ga. She was blessed with fortuity to share in the lives of Pastor Rheubin M. Taylor's three biological children: Mr. Rheubin M. Taylor II, Mrs. Keturah Taylor McIver married to Mr. Corey McIver and Lloyd Taylor currently engaged to Ms. Amanda Barnette. In-toto, they share five children, nine grandchildren, two great grandchildren and another grandchild in the oven (see picture to the left)! ​In 2011, Minister Joyce accepted her call into ministry and is now an licensed minister. She serves faithfully as an instrumental part of the ministerial team, leads the monthly women's book club sessions, hosts prayer and Bible study meetings, workshops, women's Sunday school and more to empower others to develop in the love and Word of God. ​Above all of her earthly accomplishments, she considers her husband and marriage her most significant ministry. She is her husband's "spiritual cheerleader" and greatest supporter. 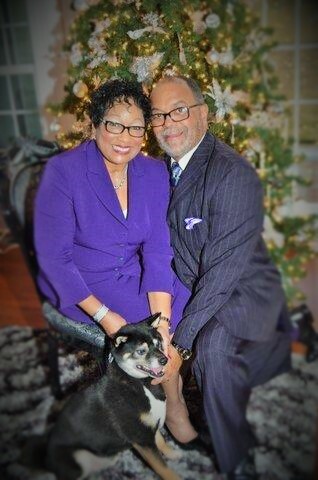 Minister Joyce currently resides in Chattanooga, TN with her loving husband, Pastor Rheubin M. Taylor, and their pet child, Inu (seen in picture to the right). Their home is filled with love and open doors for family and friends sharing holiday gatherings, celebrations and life in Christ.